The core membership of the 24th Ukrainian Antarctic Expedition has been determined. It includes two women. A well-known scientist Igor Dykyi – associate professor of the Department of Zoology of the Ivan Franko National University of Lviv, who has a great wintering experience in Antarctica, was elected to be the Leader of the 24th UAE. Eight participants had previously wintered at the station, and four of them will go the station for the first time. For the scientist Bogdan Havrylyuk this will be already the eighth expedition. The 24th UAE also includes the great-grandson of the famous Anton Omelchenko, the first Ukrainian who visited Antarctica as part of the Scott’s British Antarctic Expedition in 1910-1912. This will be the second wintering of Omelchenko Jr.
All specialists should undergo a medical examination and special multi -day training before leaving for Antarctica. It is expected that the expedition will depart to Vernadsky station at the end of March 2019. We recall that an open selection of participants of the Antarctic expedition was held for the first time. NASC has received a record number of applications (178!) from those wishing to work at Vernadsky station. There were 32 women among applicants. The selection of participants was conducted by a competition commission headed by the NASC Director Evgen Dykyi. 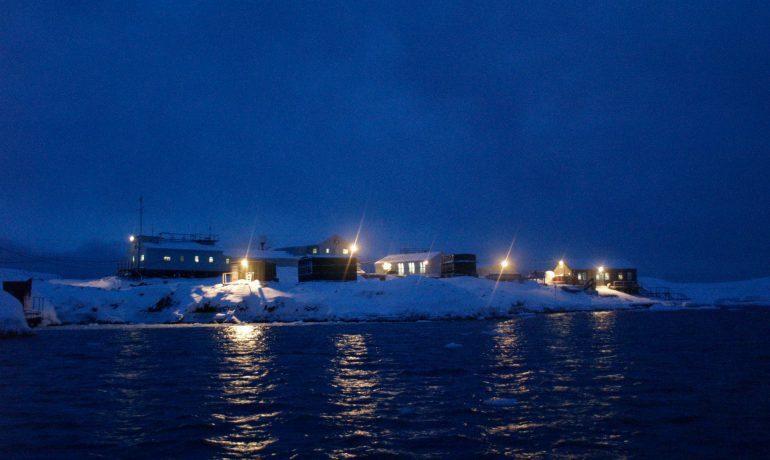 Previous PostThe Ukrainian Antarctic station is 23 years old. How did everything happen?